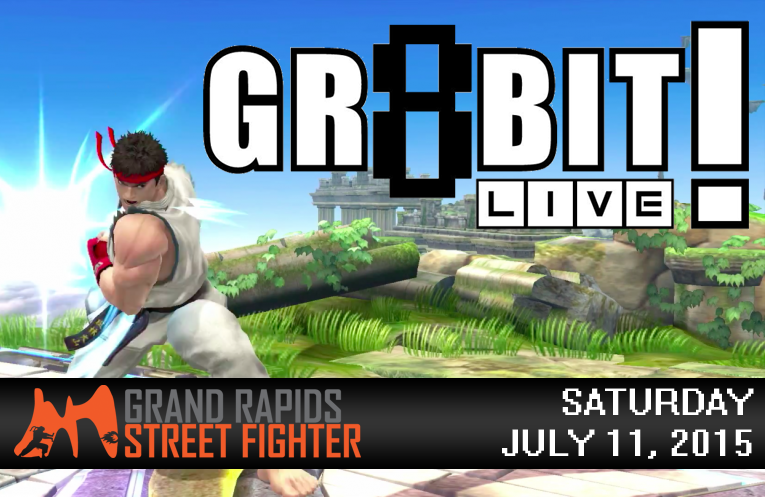 We will be running Street Fighter, Smash, and Amiibo tournaments for GR8BITLIVE on Saturday, July 11th. A zero admission fee, day long, video game music concert/gaming convention. Donations at the door go toward the purchase of new gaming equipment for the kids at the Helen DeVos Children’s Hospital. July 11th, at DeVos Place in downtown Grand Rapids, MI. All ages with plenty to do, see, and hear. Join us for some good times and a great cause! It’s a great cause, and they needed someone who doesn’t hate sick children to step in and cover for the guys who cancelled on a charity event at the last minute, so we’re doing it!